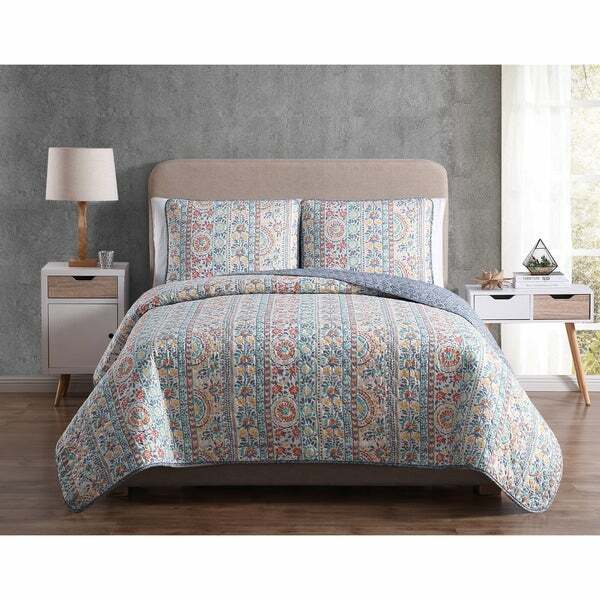 The perfect combination of casual style and fashion forward design, the Asher Home Callie Floral Quilt Set will bring a modern rejuvenation to your bedroom. The ultra-soft quilt and matching shams are created from a strong and plush microfiber. The reversible print compliments itself and allows for design changes. The perfect weight for year round comfort. Machine washable for added convenience.